Accountant. This is probably the first business sale team member you’ll recruit. The financial condition of your business, and the way your financial story is presented, is fundamental to sale success. Your accountant will have all the information at hand to help you prepare the numbers you need to plan your sale offering and present your business to buyers. If you’ve worked with an accountant over the years, be sure that person has experience in business sale transactions and the resulting tax implications. Your accountant will likely participate on your sale team at his or her regular hourly rate. Business brokers. Some business owners handle their sales with only the help of an accountant and an attorney. Others use a sale intermediary, most often a business broker, but sometimes a mergers and acquisitions (M&A) specialist if the business is large and the deal is complex. The decision of whether to hire a broker weighs heavy on most sellers’ minds, and no one answer prevails. Some sellers will tell you their sales went through just fine without a broker, and others will say the broker was essential to their sale success. In a nutshell, a broker can help maintain confidentiality about your sale, find and deal with prospective buyers, and free you from the demands of selling your business while also trying to run it. A broker can also provide advice on how to value your business. In return, you’ll pay a fee, which is usually about 10 percent of your sale price. Attorney. If you already work with an attorney to advise you on issues regarding your business structure, employees, contracts, and other legal matters, you probably want to involve that person on your sale team, maybe from the onset but certainly as you reach the negotiation stage and closing point. Your attorney can help you with preparation of legal documents such as confidentiality agreements, seller disclosure statements, and, of course, the purchase and sale agreement that will finalize the sale. It’s especially important to bring an attorney with business sale-transaction experience on board if you’re trying to handle the sale on your own without a broker. You’ll pay either hourly rates or a flat fee. Appraiser or valuation expert. If you need a formal appraisal — because of the size or complexity of your business, because you need to prove the validity of business value to the buyer or to the IRS, or because you doubt the accuracy of the value established by your broker or by your sale advisors — you can hire a professional appraiser. Appraiser fees can range from several hundred dollars to tens of thousands of dollars, depending on the complexity of your business and whether you want an oral appraisal or a formal, written document. Numbers between $2,500 and $5,000 seem to be most common for small business written appraisals, but most appraisers charge by the hour, and the final fee depends on how much time goes into the effort. Before obtaining an appraisal, talk with your broker if you’re using one. Also talk with your accountant. It may well be that between these two resources, you can arrive at a good figure from which to start seller negotiations. No one, no matter how small the deal, should sell a business without obtaining financial and tax advice. At the very least, you want an accountant to help you assemble and present your business financial records and to help structure your sale with the intent of managing taxes and facilitating buyer decisions. You may also want to involve an attorney, particularly if your business has established a relationship with a lawyer whom you trust to deliver good business and legal advice, or if you plan to sell your business on your own without a broker’s help. 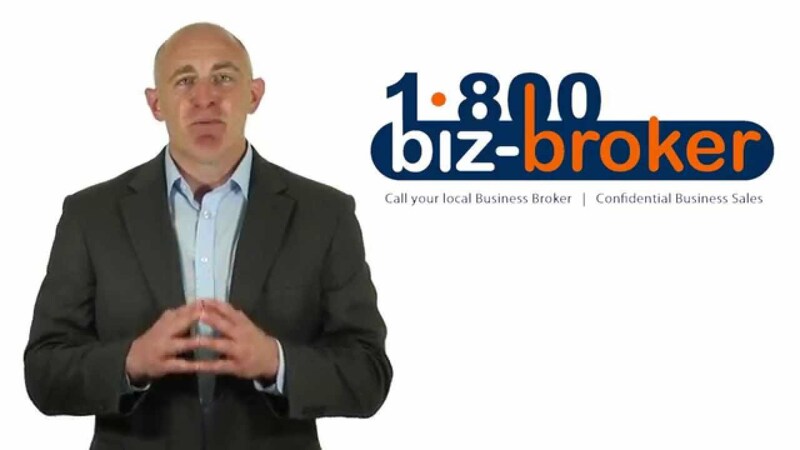 Why use a business broker to sell your business? Few business owners have the necessary experience and time to execute a successful business sale while simultaneously operating and growing their business – a critical point as a downturn in business is the last thing when selling your business. New Video: How much is your business worth? Sell your business, get a free Vacation!